Fun appetizer or dessert recipe for game day. 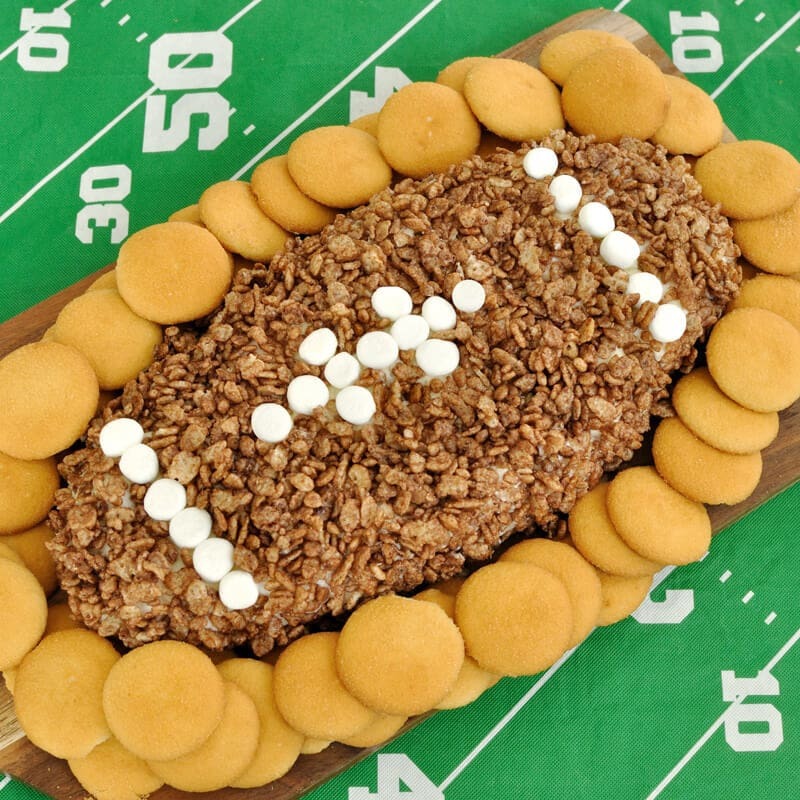 This cocoa krispie treat football cheese ball combines the flavor of marshmallow with cocoa krispies in a dip. An easy holiday dessert all wrapped up in a cute little ball of sweet, minty goodness! 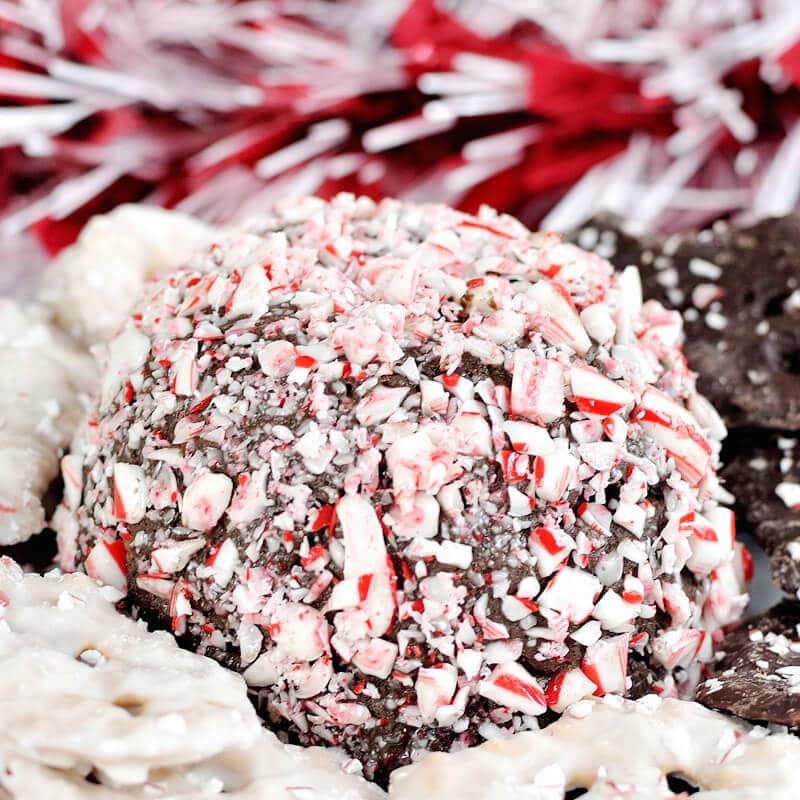 Your guests will LOVE this Peppermint Mocha Cheesecake Cheese Ball. Easy dessert cheese ball recipe that tastes like apple pie. 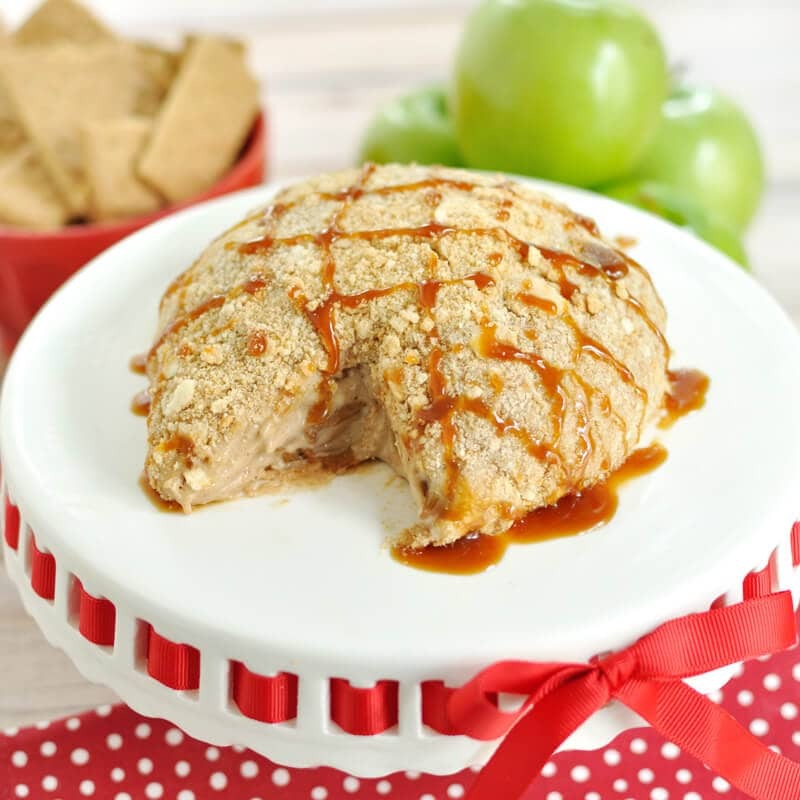 This caramel apple pie cheese ball is a great treat for your next fall gathering. 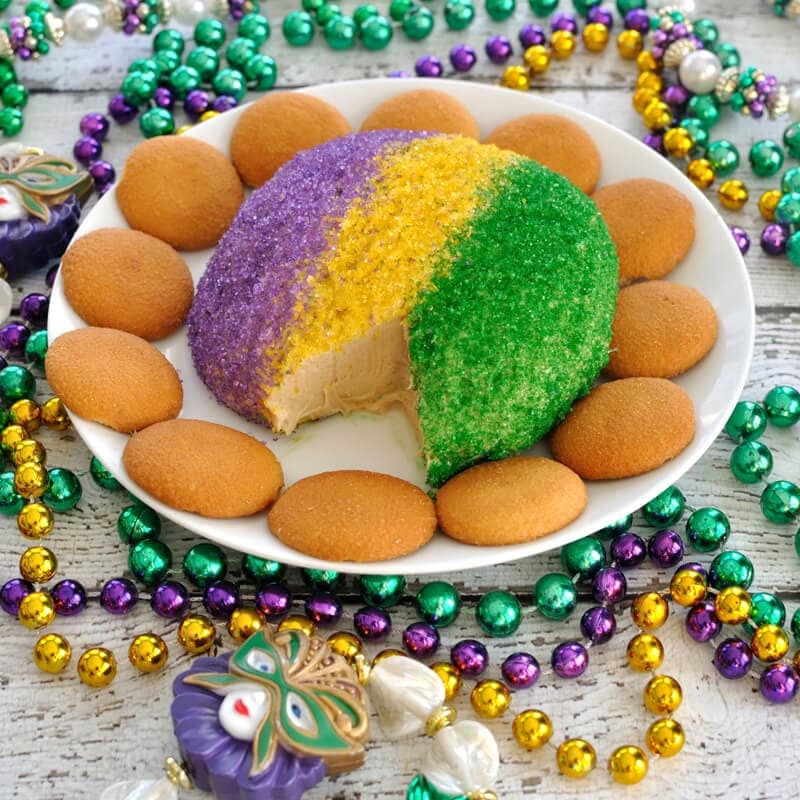 Festive King Cake Cheese Ball has the flavor and colors of a King Cake, but in an easy to make cheese ball. Great dessert to celebrate Mardi Gras! 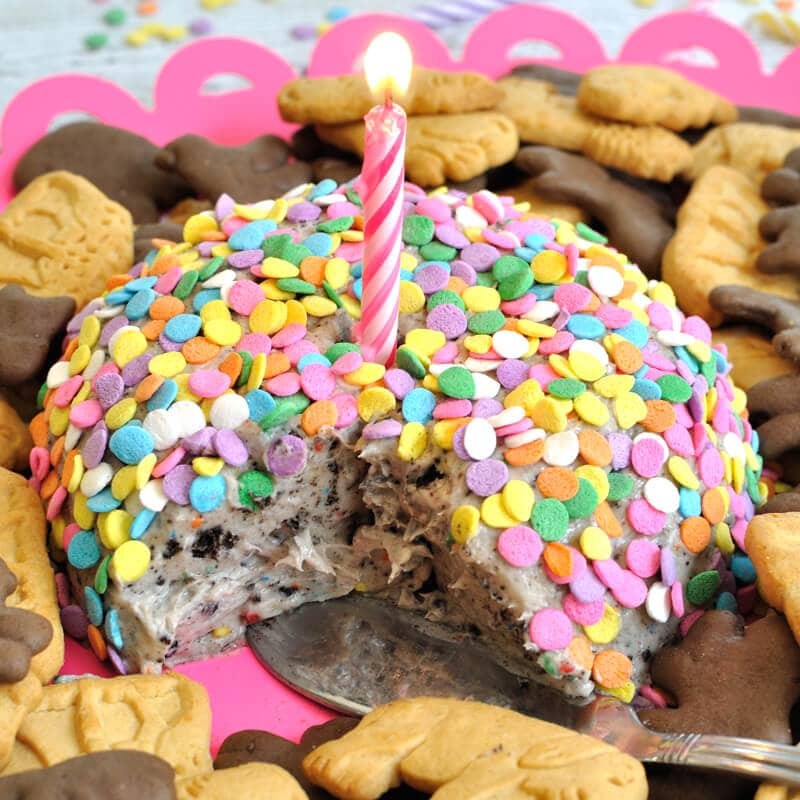 Ring in the new year with this festive and easy dessert dip recipe. 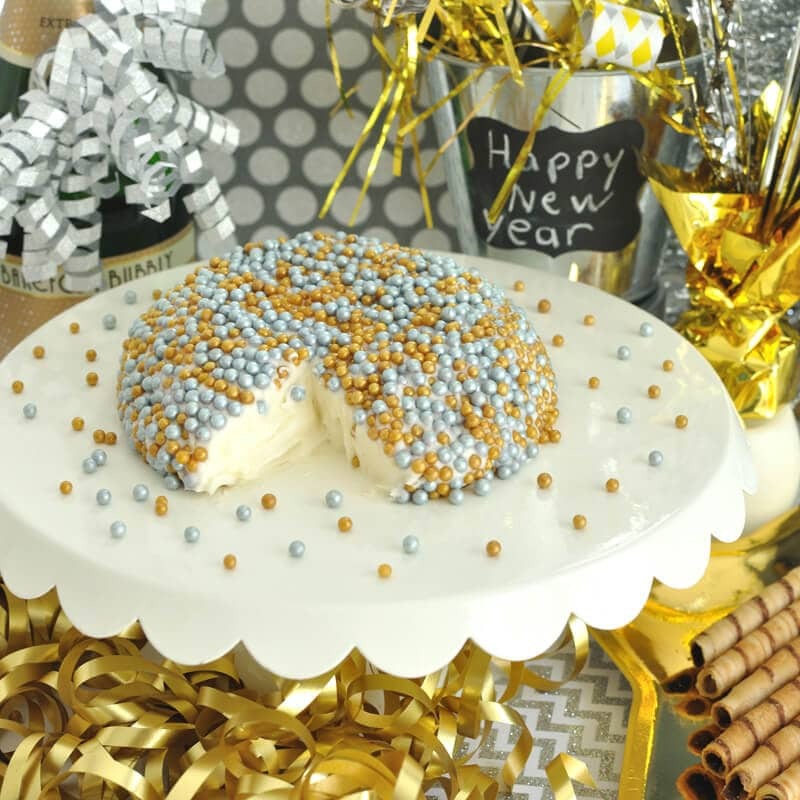 Champagne Cheesecake Cheese Ball is the perfect dip for your New Year’s Eve Party. 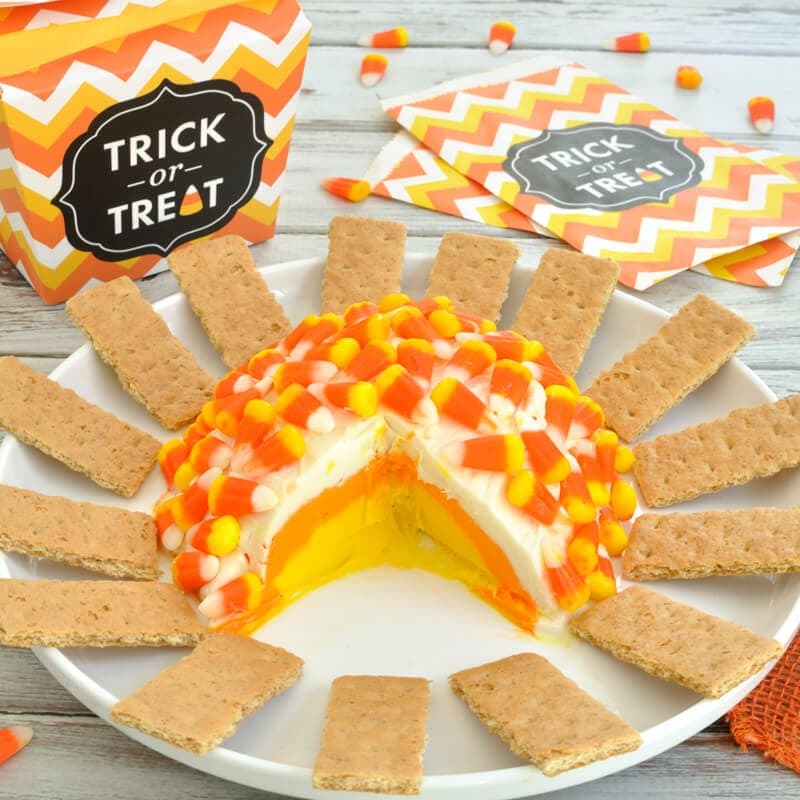 Candy Corn cheesecake cheese ball recipe that features white, orange, and yellow layers just like the candy. This is a great fall dessert for Halloween. Red, white, and blue cheesecake cheese ball. 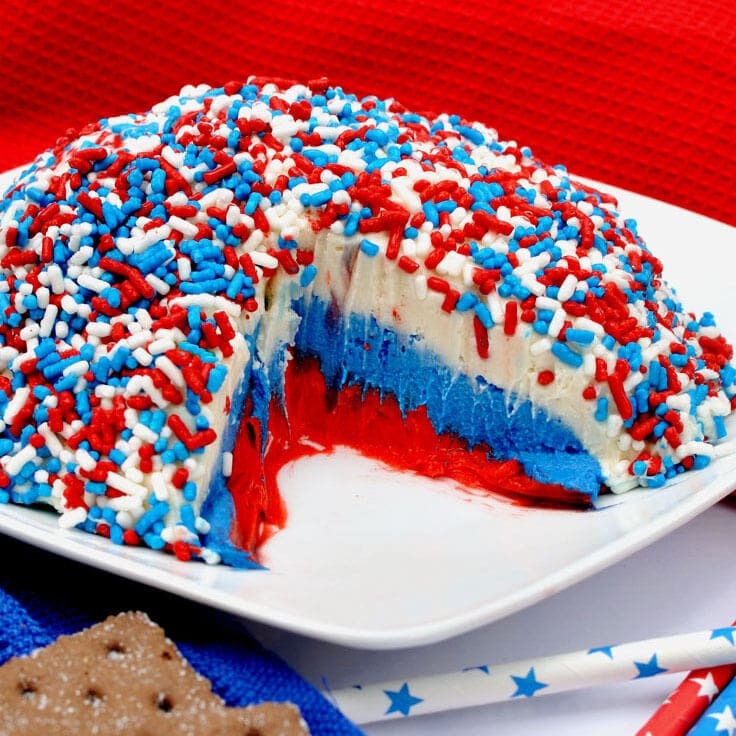 Great dessert idea for your July 4th party!